Most US LaserDiscs have CC subtitles, to view them outside the US you need a CC decoder. The TVGuardian 101 is a terrible device for uptight people that detects and censors words like “hell” in the CC subtitles. It also mutes the audio when an offending word or sentence was detected. 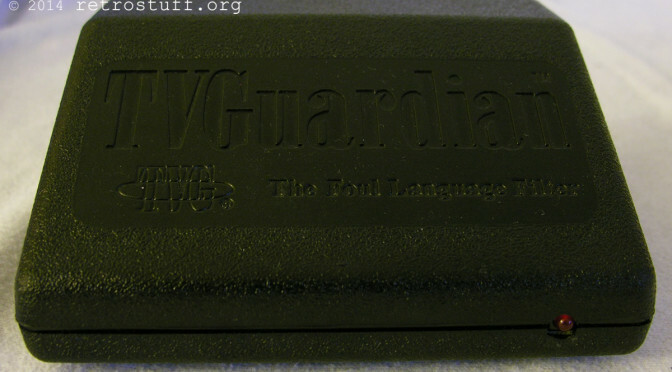 For more details see the Manual that is available here: TVGuardianOwnersManual101.pdf. When the filter is turned off this device is a very cheap alternative to CC decoders and can be used to superimpose CC subtitles on the LaserDisc video signal. 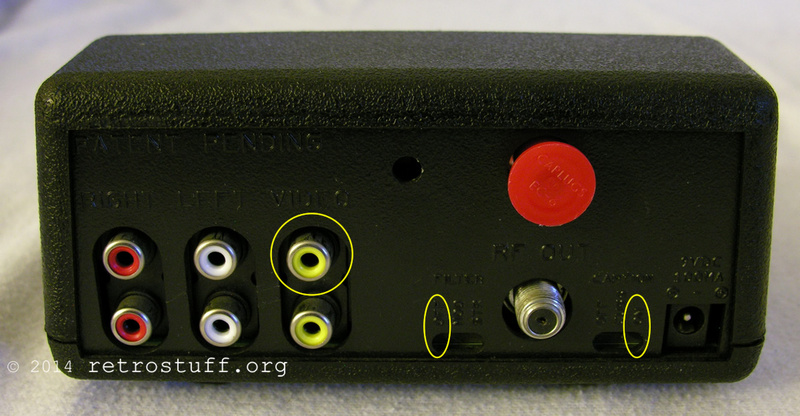 Connect the LaserDisc player to the upper yellow RCA socket (circled) and the TV to the lower yellow socket. Then turn off the filter (left switch, left position) and enable the CC decoder (right switch, right position).Done!